Background: Insomnia is a prevalent sleep disorder that has not been well managed thus far. There are numerous medicaments for treatment of insomnia, but they have undesirable side effects that make herbal medicine a more viable option. 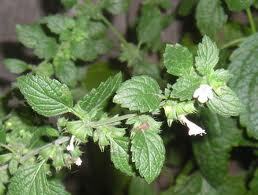 Objectives: The effectiveness of a combination of Melissa officinalis L. (dry powder) and Nepeta menthoides Boiss. & Buhse (Persian Lavander) (freeze-dried aqueous extract) on insomnia was evaluated. Design and Setting: Insomniacs who met the entry criteria participated in a triple-blind randomized placebocontrolled clinical trial at the Persian Medicine (PM) clinic in Tehran. Interventions: The subjects received either 1000 mg of M. officinalis plus 400 mg N. menthoides or a placebo nightly for four weeks in accordance with prescriptions from the pharmaceutical manuscripts on PM and the results of previous studies. Outcome measures: The Pittsburgh Sleep Quality Index (PSQI), sleep diary, and Insomnia Severity Index (ISI) were used for assessment of insomnia. Results: Comparison of the treatment and placebo groups showed a significant decrease in the mean difference of ISI (4.97 – 4.69 vs. 1.60 – 3.70; p =; 0.002) and total PSQI (4.14 – 3.69 vs. 1.42 – 2.81; p = 0.001) scores in the treatment group. A significant increase was also observed in total sleep time of treatment group (p < 0.001) based on the sleep diary. Cardiovascular disease is one of the major causes of mortality from non-communicable diseases. In recent years there has been a growing interest in herbal medicine as a complementary therapy for the treatment of multiple conditions. The aim of this study was to determine the effects of Melissa officinalis (MO) on the results of echocardiography, exercise stress test, cardiovascular serum biomarkers such as lactate dehydrogenase (LDH) and nitric oxide (NO), and blood pressure in patients with chronic stable angina(CSA). Eighty patients with CSA were randomly divided into case and control groups in a double-blind clinical trial. They received 3 g/d lemon balm or placebo for 2 months. Anthropometric measurements, echocardiography and exercise stress test were performed before and after intervention. Also, LDH and NO were measured as cardiovascular parameters. The mean levels of Ejection Fraction (EF) in the echocardiographyand maximum workload in the exercise test were significantly higher in the intervention group compared with placebo (p < 0.01) post intervention. Moreover, the mean serum level of LDH was significantly (p < 0.001) lower in the intervention group compared with control group. Additionally, the mean serum level of NO was higher in the intervention group compared with placebo (p < 0.01) post intervention. Systolic and diastolic blood pressure (SBP, DBP) were also decreased in the intervention group compared with placebo (p < 0.05) post intervention. The results show that MO supplementation may improve EF,maximum workload, cardiovascular serum biomarkers (LDH, NO), and blood pressure in patients with CSA. Melissa officinalis (MO, English: lemon balm, Lamiaceae), one of the oldest and still most popular aromatic medicinal plants, is used in phytomedicine for the prevention and treatment of nervous disturbances. The aim of our study was to assess the effect of subchronic (28-fold) administration of a 50% ethanol extract of MOleaves (200 mg/kg, p.o.) compared with rosmarinic acid (RA, 10 mg/kg, p.o.) and huperzine A (HU, 0.5 mg/kg, p.o.) on behavioral and cognitive responses in scopolamine-induced rats. The results were linked with acetylcholinesterase (AChE), butyrylcholinesterase (BuChE), and beta-secretase (BACE-1) mRNA levels and AChE and BuChE activities in the hippocampus and frontal cortex of rats. In our study, MO and HU, but not RA, showed an improvement in long-term memory. The results were in line with mRNA levels, since MOproduced a decrease of AChE mRNA level by 52% in the cortex and caused a strong significant inhibition of BACE1 mRNA transcription (64% in the frontal cortex; 50% in the hippocampus). However, the extract produced only an insignificant inhibition of AChE activity in the frontal cortex. The mechanisms of MO action are probably more complicated, since its role as a modulator of beta-secretase activity should be taken into consideration. The subchronic administration of MO led to an improvement of long-term memory of rats; however the mechanisms of MO action are probably more complicated, since its role as a modulator of beta-secretase activity (due to inhibition of BACE1 mRNA expression in frontal cortex) should be taken into consideration.It should be noted that we have studied a crude extract from leaf of Melissa officinalis, not a single pure chemical compound. This plant extract is a complex mixture, and its action may be a result of the summation of activities of several components (synergism/additive action of caffeic acid with salvianolic acids, rosmarinic acid, and others). In the case of extract from leaves of Melissa officinalis, it is possible that interactions occur between the 40 chemical compounds identified by HPLC system. Taken together, it seems that the MO activity represents a possible option as complementary interventions to relieve the symptoms of mild dementia. Melissa officinalis extract induces apoptosis and inhibits proliferation in colon cancer cells through formation of reactive oxygen species. Purpose: Efficient strategies for the prevention of colon cancer are extensively being explored, including dietary intervention and the development of novel phytopharmaceuticals. Safe extracts of edible plants contain structurally diverse molecules that can effectively interfere with multi-factorial diseases such as colon cancer. In this study, we describe the antiproliferative and proapoptotic effects of ethanolic lemon balm (Melissa officinalis) leaves extract in human colon carcinoma cells. We further investigated the role of extra and intracellular reactive oxygen species (ROS). Methods: Antitumor effects of lemon balm extract (LBE) were investigated in HT- 29 and T84 human colon carcinoma cells. Inhibition of proliferation was analyzed by DNA quantification. The causal cell cycle arrest was determined by flow cytometry of propidium iodide-stained cells and by immunoblotting of cell cycle regulator proteins. To investigate apoptosis, cleavage of caspases 3 and 7 was detected by immunoblotting and fluorescence microscopy. Phosphatidylserine externalization was measured by Annexin V assays. Mechanistic insights were gained by measurement of ROS using the indicator dyes CM-H2DCFDA and Cell ROX Green. Results: After 3 and 4 days of treatment, LBE inhibited the proliferation of HT- 29 and T84 colon carcinoma cells with an inhibitory concentration ([IC.sub.50]) of 346 and 120 [micro]g/ml, respectively. Antiproliferative effects were associated with a G2/M cell cycle arrest and reduced protein expression of cyclin dependent kinases (CDK) 2, 4, 6, cyclin D3, and induced expression of cyclin-dependent kinase inhibitor 2C (p18) and 1A (p21). LBE (600 [micro]g/ml) induced cleavage of caspases 3 and 7 and phosphatidylserine externalization. LBE-induced apoptosis was further associated with formation of ROS, whereas quenching of ROS by antioxidants completely rescued the colon carcinoma cells from LBE-induced apoptosis. Conclusions: Lemon balm (Melissa officinalis) extract inhibits the proliferation of colon carcinoma cells and induces apoptosis through formation of ROS. Taken together, LBE or subfractions thereof could be used for the prevention of colon cancer. Valerian root and lemon balm extracts have previously shown efficacy and excellent tolerability in children < 12 years suffering from restlessness and insomnia. We now examined whether treatment with a fixed combination of both may also improve concentration, hyperactivity and impulsiveness. 169 primary school children suffering from hyperactivity and concentration difficulties but not meeting ADHS criteria were treated in an observational study by 27 office based pediatricians with a recommended daily dose of 640 mg valerian root extract WS® 1014 and 320 mg lemon balm extract WS® 1303 (Sandrin®), and evaluated by pediatricians and parents using standardized questionnaires at baseline, weeks 2 and 7. The fraction of children having strong/very strong symptoms of poor ability to focus decreased from 75% to 14%, hyperactivity from 61% to 13%, and impulsiveness from 59% to 22%. Parent rated social behavior, sleep and symptom burden showed highly significant improvements. Only in two children mild transient adverse drug reactions were observed. In primary school children with restlessness, concentration difficulties and impulsiveness treatment with WS® 1014 and WS® 1303 (Sandrin®) provides a viable option in addition to counseling and education.